In Tombstone, Arizona, September 2001, Debbie St Germain is found dead in her trailer, apparently murdered by her fifth husband. For her twenty-year-old son, Justin, the tragedy marks the line that separates his world into before and after. Long after his mother's death is solved, Justin still sleeps with a loaded rifle under his bed. Ultimately, he sets out into the desert landscape of his childhood in an attempt to make sense of the unfathomable. Justin's journey takes him back to the ghost town of Wyatt Earp and the Gunfight at the OK Corral, to the trailers he and Debbie shared, to the string of stepfathers who were a constant presence in his life. He confronts people from his past and delves into the police records in an attempt to make sense of his mother's life and death. All the while he tries to be the type of man she would have wanted him to be. 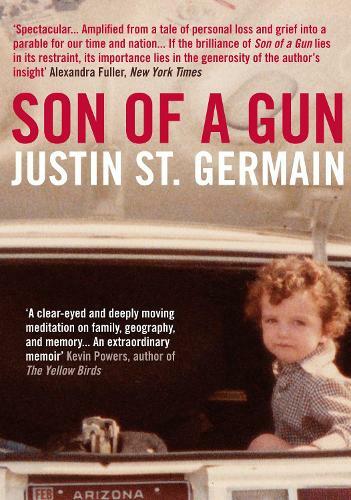 Brutally honest and beautifully written, Son of a Gun is a brave, unexpected and unforgettable memoir.